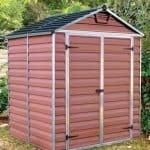 This wonderful PVC utility shed measures 6 x 6 in dimensions. 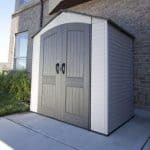 It comes with a 10-year guarantee that ensures you have quality behind your usage. 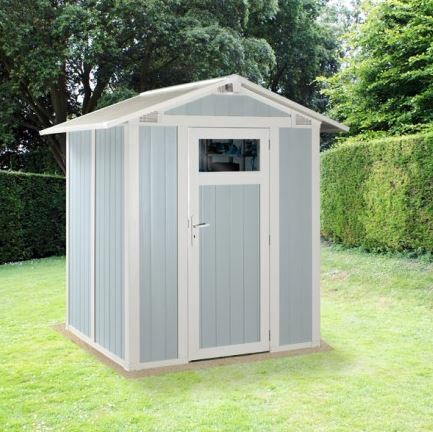 The PVC is UV resistant, which means that you won’t get any flaking or cracking on the PVC, even under heavy sun. 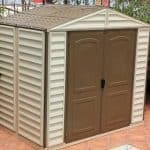 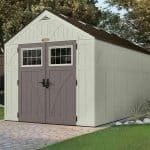 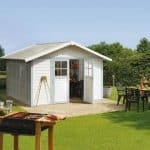 There is no rot or rust with this building, and you also benefit from a great pair of double doors, which makes this an incredibly accessible plastic shed. 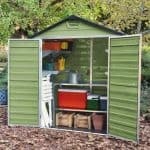 Perfect for equipment and garden tools, to lock them away and ensure they are kept safe and dry.